ADRC SW – Green County is always looking for volunteers to help with various tasks from assisting with programs to delivering meals. Click on the tabs below to learn more about our available volunteer opportunities. 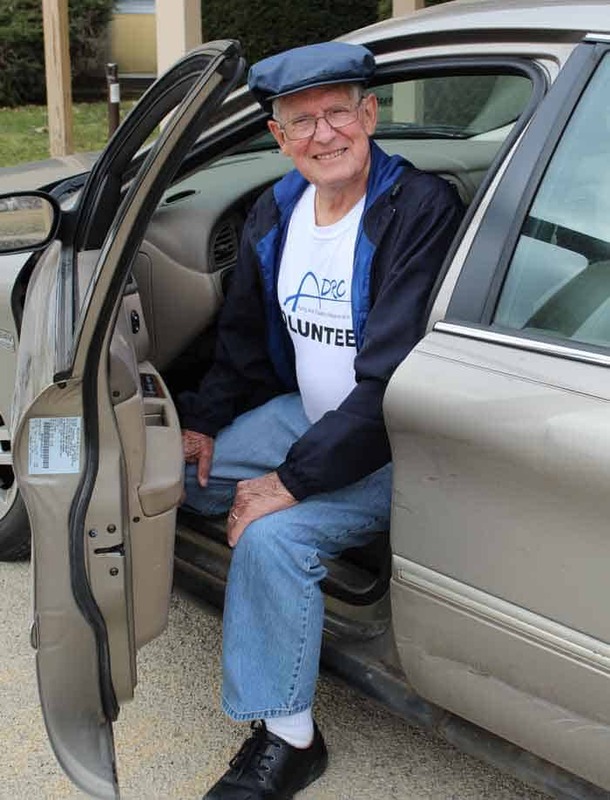 Volunteers assist in transporting older people and people with disabilities who are unable to drive themselves to various appointments or activities. Anyone age 18 and older with a valid driver’s license, good driving record, and proof of insurance. Rides are scheduled at the ADRC office and volunteers are called in advance to pick upriders at their homes, drop them off at their destinations, and return them home again. Help is needed to ensure that older people get the education and support they need to live healthy and independently. Wellness and Prevention Ambassadors and Volunteer Leaders. Wellness and Prevention Ambassadors: Volunteers to help to spread the word around local communities about upcoming programs. Help us get connected to those who want to stay healthy and strong. Volunteer Leaders: Individuals who are willing to be trained to lead Wellness and Prevention programs like Living Well and Stepping On to small groups around Green County at least once a year. Volunteers who are committed to helping others to make changes in their health behaviors to stay strong and live healthy. Programs are scheduled in advance through the ADRC. Ambassadors then work with staff to promote and recruit program participants. Leaders, once trained, will be paired with another leader to facilitate their program. Help is needed to ensure that older people get the nourishment they need to stay well. Home-Delivered Meals: Volunteer drivers use their own vehicles to deliver healthy noon meals to older people in their homes. Senior Dining Center: Volunteers help with packaging home-delivered meals, serving, and clean-up of the noon meal at one of the senior dining centers in the area. Volunteers who enjoy being with and helping older people. Home-delivered meal drivers also must have a valid driver’s license, good driving record, and proof of insurance. Staff set up volunteer schedules in advance based on your availability. Volunteer drivers will be given a route and meals to distribute. Mileage can be reimbursed. Our adult day center provides a safe environment for older people who are unable to stay home alone but need some assistance during the day while others in their household are working or need a break from care giving. Volunteers to help with or lead activities, assist with meal time and, in general, provide companionship to those attending the center during the day. Anyone with an interest in brightening the day of an older person. Staff set up volunteer schedules in advance based on your availability. Sometimes an older person or someone with a disability may be unable to understand important issues regarding their health care and/or finances. When no family or friend is available to help and act in the best interests of the individual, a guardian is needed. Individuals age 18 years of age or older who have a compassion for helping others and would like to support and advocate for the health care and/or financial affairs of another person. As a volunteer guardian, you will be supplied with all the information, education, and support to fulfill that role. If you feel that you or someone you know would like to affect someone’s life in a meaningful way, or to get more information about volunteer guardianship, please contact the ADRC. Contact ADRC today to apply for a volunteer position. Use our Volunteer form and tell us which opportunities you are interested in helping with!